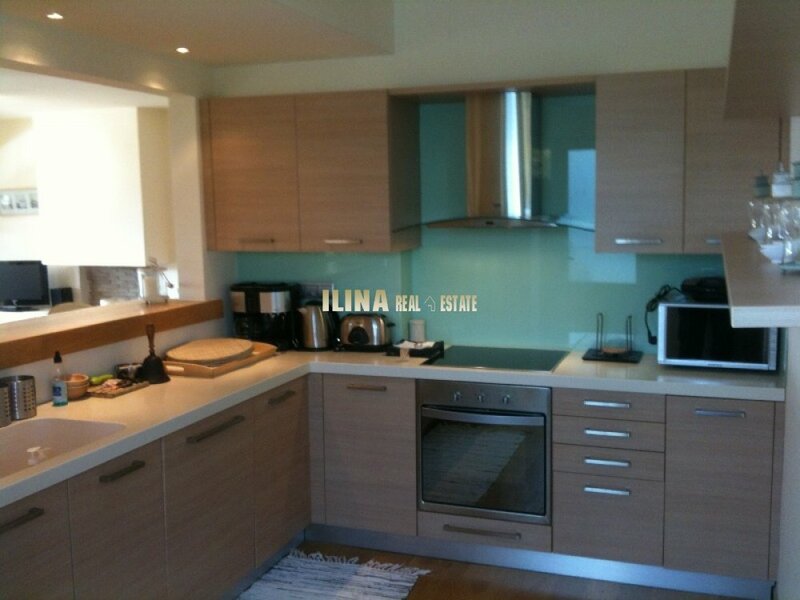 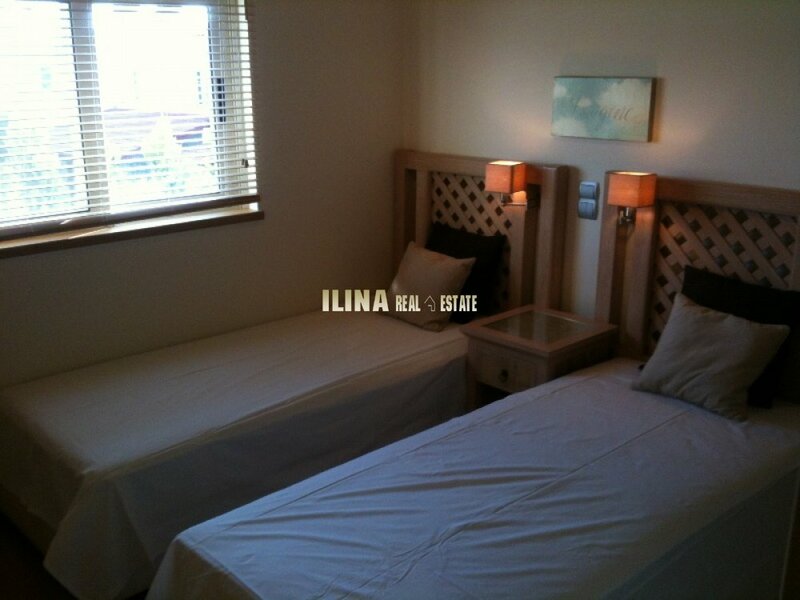 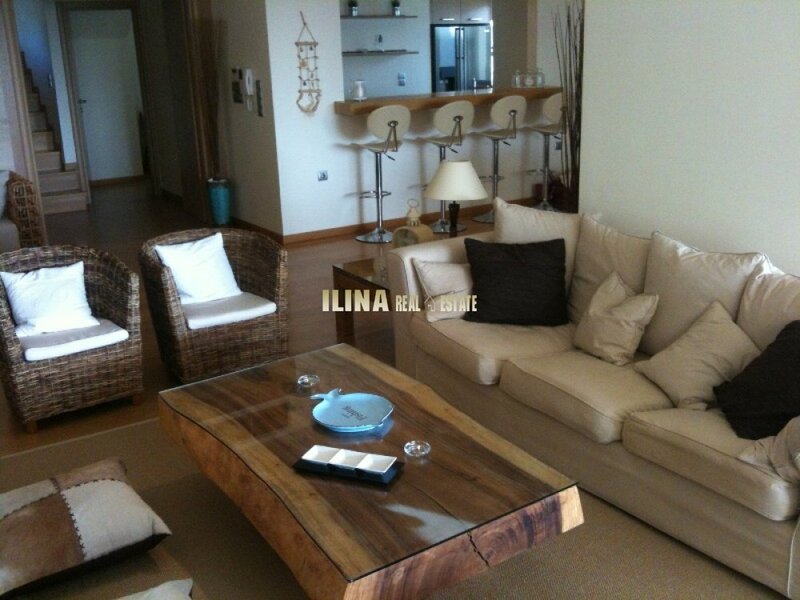 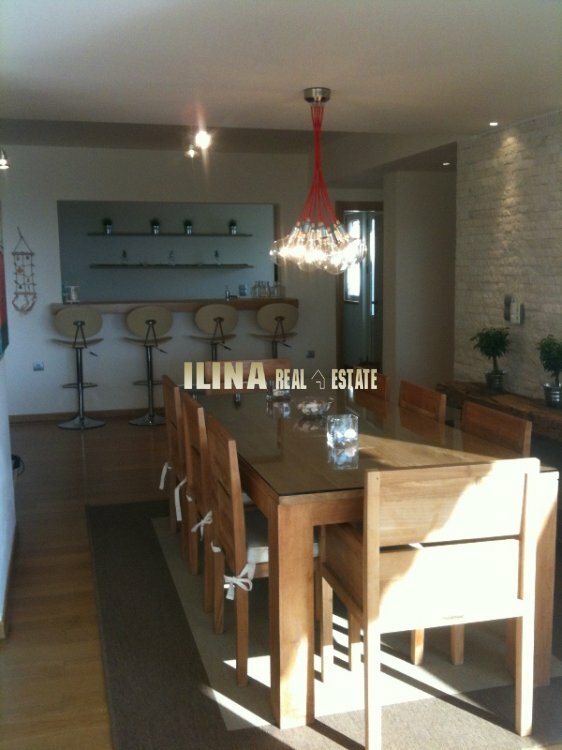 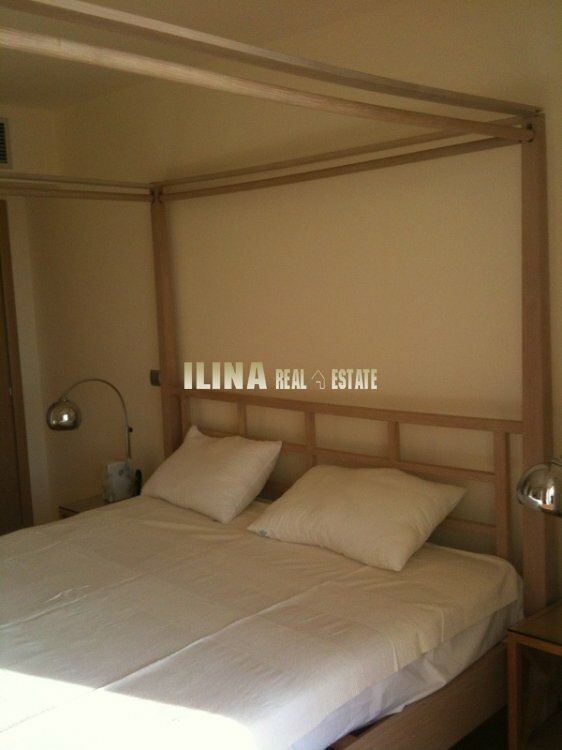 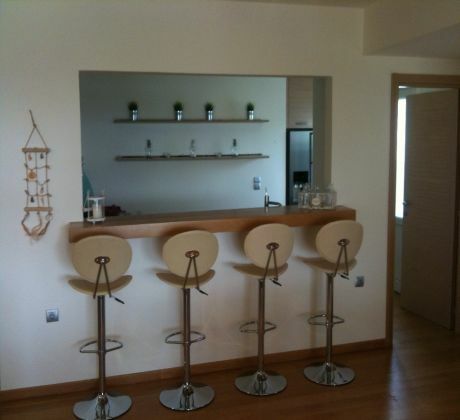 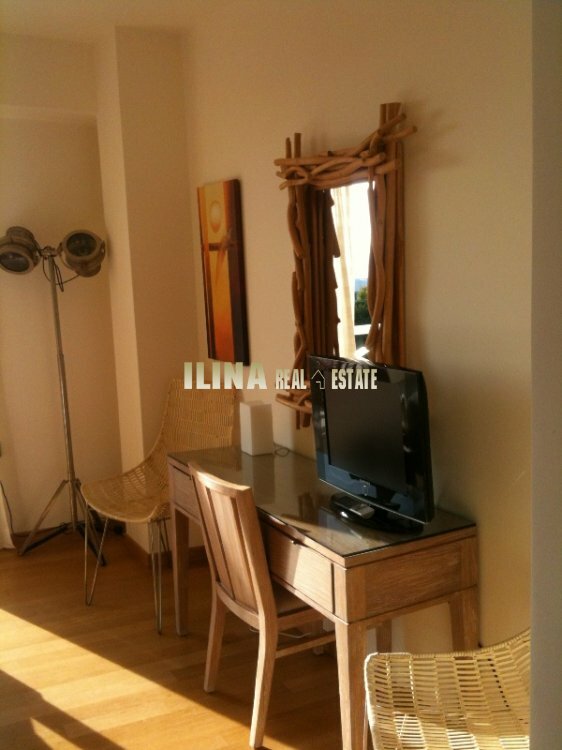 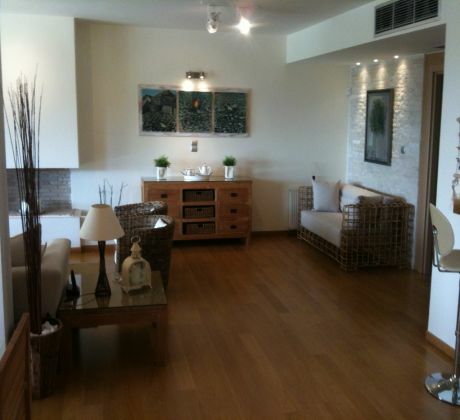 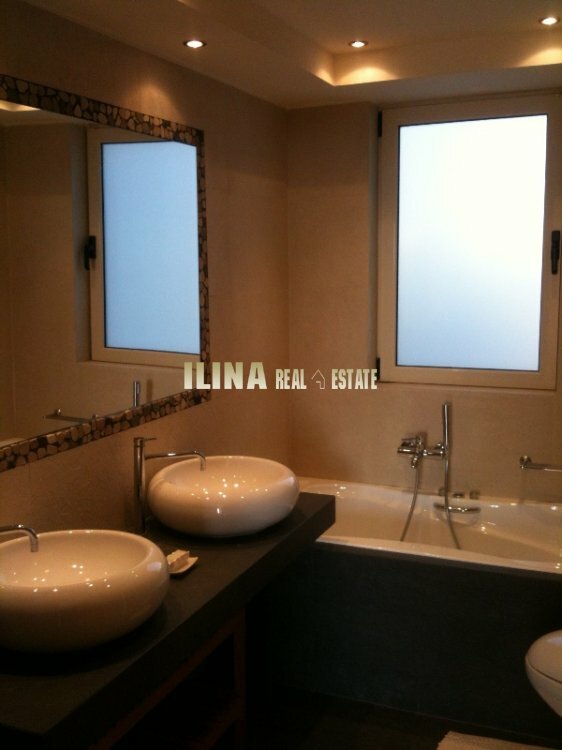 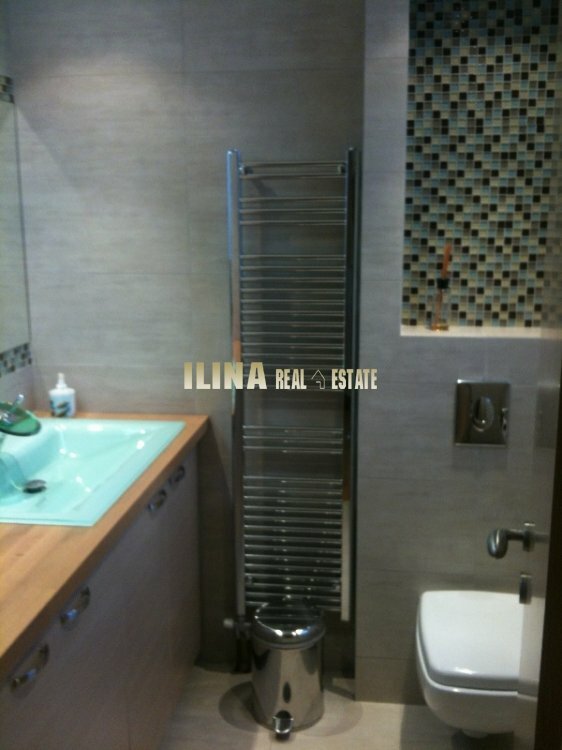 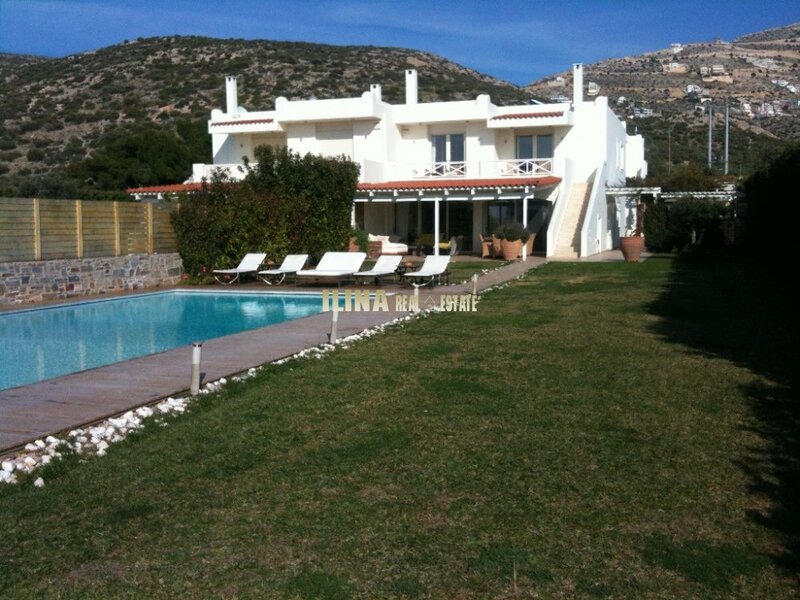 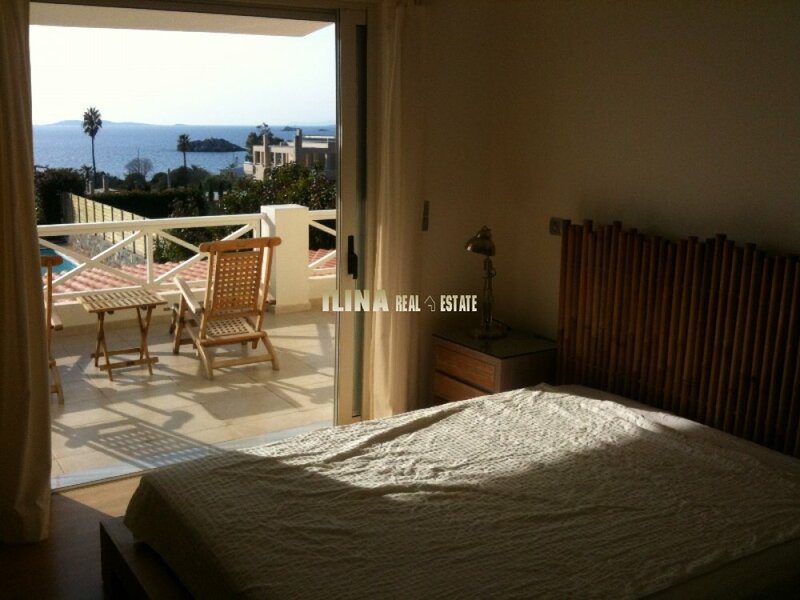 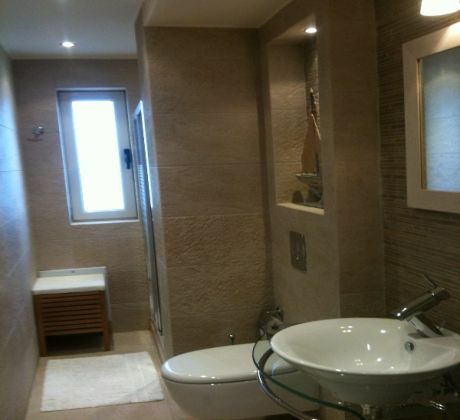 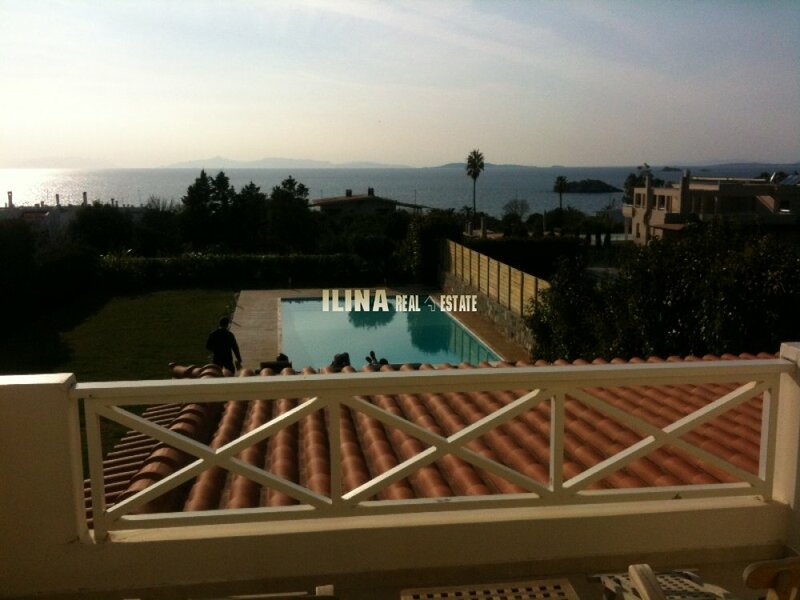 Ilina Real Estate :: Villa for rent in Saronida, 230sq. mt. 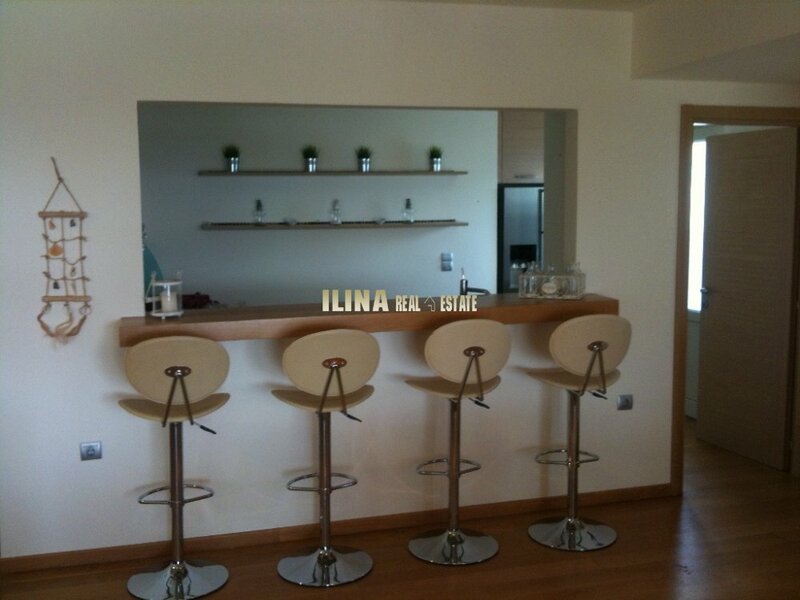 ID: BMG00006-E Villa for rent in Saronida, 230sq. mt. The villa we recommend you is luxuriously furnished and fully equipped to meet the requirements for high quality of living by offering facilities that cover all the needs of the most demanding customer and such are plasma TV32 '', DVD player, Home Cinema, internet, individual controlled cooling - heating, Jacuzzi, swimming pool, private parking etc. 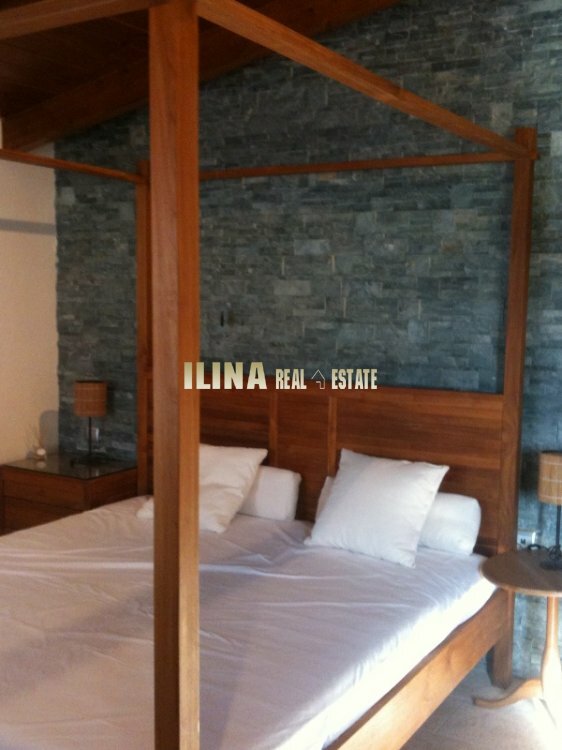 Ground Floor: Spacious lobby, dining room for 10 persons, large living room with fireplace and stone walls, a modern kitchen with fold-bar, guests head, 1 bedroom with its own bathroom. 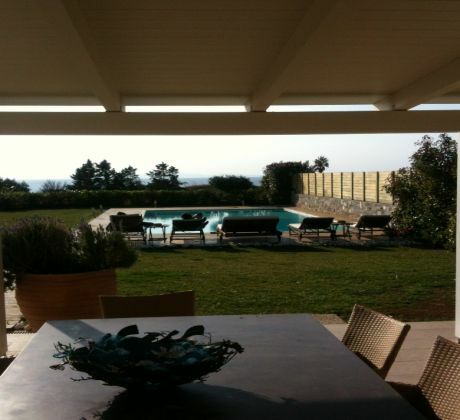 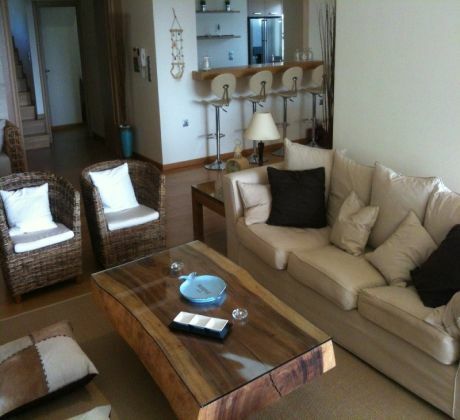 This floor is surrounded by large verandas with seating and dining area and access to garden with pool and sea view. 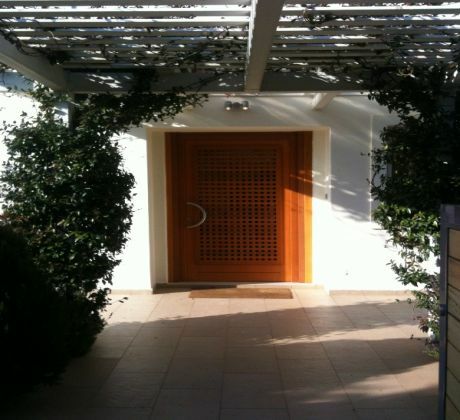 The villa guarded by a security guard and gardens are maintained by a gardener. Also tenants are not burdened with communal expenses. 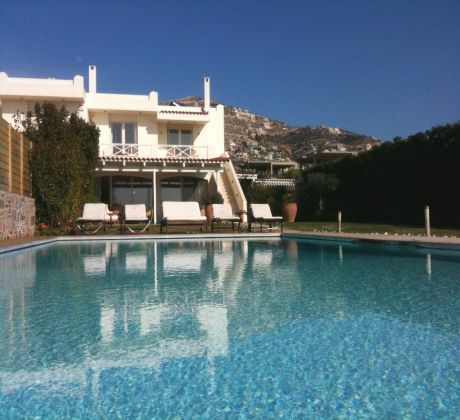 The villa is available subject to availability for annual use or for whole summer season (May-October).